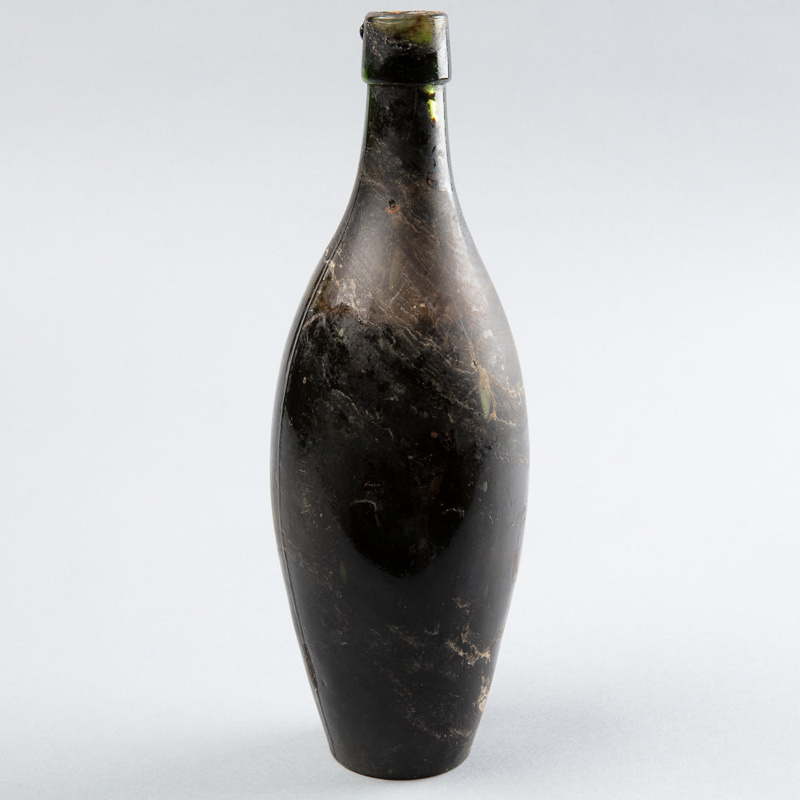 This is one of two bottles, their contents still intact, recovered from the wreck-site of the 'Okta' that flounded on 'Pelham Rock off 'Dog Island' on the 18th of September 1913. An iron-clad Norwegian barque she had departed Port Tuon in Tasmania headed for England on the 6th September laidened with timber. The following day she ran into a fierce gale and started taking on water. Captain Duus, realising the situation was grave, decided to change course for Wellington, the nearest safe harbour. But the 'Okta' was blown futher south and forced to make for Bluff. Still taking on water the weather finally calmed as the 'Okta', making for 'Dog Island', headed for Stirling Point. But the Captain, not anticipating the forced detour, had no New Zealand coastal charts to guide him into port. Without warning the vessel violently ran aground on 'Pelham Rock'. Although the ship was lost all the crew made it safely to shore.